Dad, can I open an eBay account? our 15 year old son asked. I want to buy this broken computer for parts and I can get it really cheap. I said, Wait a minute, what is this eBay thing, anyhow? Our son, who is now a computer engineer spent several hours researching and teaching us about eBay. We were hooked! Thus began our journey on eBay in 1999. We could not believe the deals we could find on computer parts! We began buying parts and rebuilding computers. Then we started to think, What can we sell on eBay? Since we own a sign and vinyl graphics business, we decided to see if any of our signs would sell. 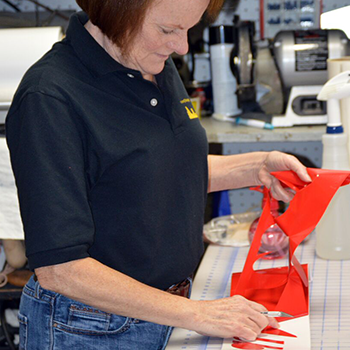 We started designing and manufacturing personalized dog signs. After testing the market, we finally hit on something. We created personalized bar beer signs, Irish , golf, pool room, poker and nautical signs to name a few. We then added custom vehicle & window graphics. 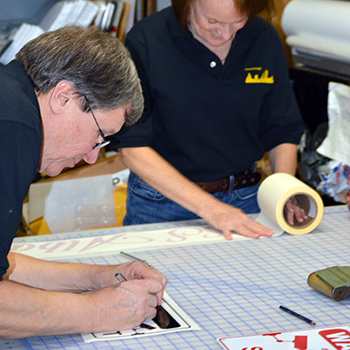 About this time we opened our own online store to sell personalized and custom signs. 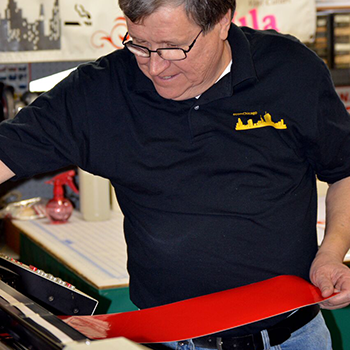 Besides our novelty signs, we custom make ready to apply boat registration numbers, boat names, vehicle graphics for business to advertise on their trucks or cars. These graphics all come with easy to follow instructions. In 2005, we started an ecommerce sellers Meetup Group, Chicagoland Area eBay & eCommerce Sellers Meetup. The purpose of this group was to give sellers a chance to network with other sellers and learn. Our goal for the group is to bring e-commerce sellers and potential sellers together and to learn from each other. We bring in speakers who can help businesses grow whether selling on eBay, Amazon, Etsy or any other e-commerce platform. The meetings are held every month in Elk Grove Village, IL. Please check us out and join our Meetup group. In 2014, we began a yearly conference, ecomChicago, for e-commerce sellers of every level. This is a 2-day conference held in October in Elk Grove Village, IL packed with great information to start, grow or streamline an e-commerce business. We have speakers & sponsors from the e-commerce world who have grown world class businesses. Attendees range from those operating million dollar e-commerce businesses to those just getting started. This is an opportunity to share tips and tricks, challenges and successes and learn from each other as well as from the professional speakers and sponsors. In the Feb. 8, 2017, issue of Entrepreneur Magazine, ecomChicago was listed as one of the "10 Conferences to Consider in 2017, to Boost Your Online-Retail Strategies". In October of 2017 we will host our 4th ecomChicago Conference. If you are interested in attending, check out ecomChicago. As organizers of a large eBay Meetup group, we have been invited to eBay headquarters to meet with eBay management and other Meetup organizers to discuss & promote our various Meetups. We have also been invited to eBay 20th Anniversary celebration as Influencers, spreading the word about eBay and helping others grow their eBay business. We are honored to be part of the ecommerce. Please email us with any questions regarding the information we have shared here.